Dead skin cells that build up on the surface of your skin can cause it to appear dull and lifeless. They can also clog pores, cause blemishes, and aggravate acne. Microdermabrasion is a painless and relatively quick procedure to polish the surface of your skin for a healthy, bright, fresh, young look. It also can help promote the growth of new collagen to tighten your skin and enhance its elasticity. During the treatment, your skin care expert will use a state-of-the-art diamond-encrusted wand to exfoliate the outer-most layer of skin with tiny granules. A suction device is used simultaneously to gently whisk away the outer layer of skin, including the dead skin cells, and reveal a fresh, new layer of skin. 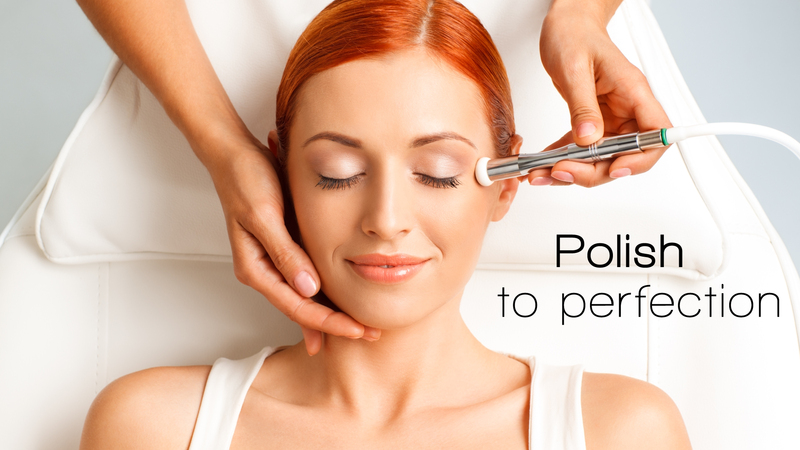 Microdermabrasion can be combined with other skin care treatments for exceptional results. Am I a Microdermabrasion Candidate? There is little or no discomfort with microdermabrasion. In addition, the procedure requires no downtime, which means you can return to normal activities immediately after treatment! Some clients experience slight redness after microdermabrasion, but it is temporary and usually resolves within only a few hours. Although you are likely to be extremely pleased with the exceptional results from only 1 microdermabrasion session, most women find that 4 to 6 sessions yield the best results. Our skin care experts can evaluate your skin type and recommend the number of microdermabrasion treatments that will help you achieve your skin care goals.